Toronto’s MD Matheson has been honing his craft in “looping guitar sounds and galloping beats” since the mid 1990’s. 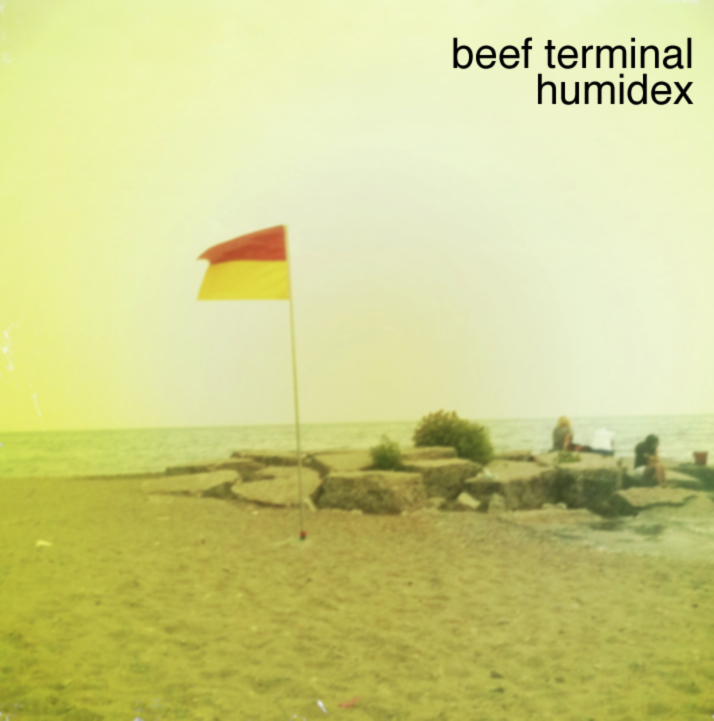 Not having heard his previous releases, it’s tough to comment on them but from encountering the music of Beef Terminal for the first time, if Matheson hadn’t mastered the art of subtlety before, he certainly has now. On first hearing, one could be forgiven for feeling a little non-plussed by ‘Humidex’. ‘September Trilogies’ could be classed as no more than pleasant, above average chill-out. In fact, it’s fair to say that not an awful lot happens to get anyone excited. ‘Different Time’ and the title track amble along nicely though, with rhythms tailor-made for long distance journeys. Gradually, the organic feel becomes quietly seductive with rustic guitars dominant on ‘Common Seagull’. ‘Birthday’ slows the pace down and ends up sounding like a lovelorn hybrid of Durutti Column and Yellow6. ‘Energy Crisis’ – one of the few tracks which emphasises beats over plucked strings – is still moving whilst ‘Realistic Divides’ is intricate and really rather beautiful. ‘Humidex’ works pretty well as background music but deeper listening reveals that this is a triumph in melody, texture and melancholy. It’s probably a bit too late to change the name of the project though. Clem Leek’s CV makes for impressive reading. He earned a Creative Arts degree and a Masters in Music Composition from Bath Spa University and since then has released records on various labels. ‘Lifenotes’ can be seen as a compilation of sorts, since it assembles both old and new selections of his work so far. With its fragments of static, stark piano and mournful strings, there’s the rarefied, pastoral air of Talk Talk or even Hood for the opener ‘Page One’. Leek adds colour via thunderstorms for ‘The Middle Part’ and bird song for ‘November 11th’ but otherwise he keeps things simple. 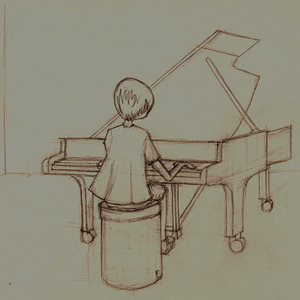 Solo piano compositions, such as ‘Breaking Down’, are interspersed with guitar instrumentals; with ‘You’re So Very Far Away’ representing an acoustic form of nostalgic yearning. By the finale ‘Closing’, the record has come full circle with a violin contribution to match the first track. In this case, less is definitely more. Leek is a skilful and versatile performer with a great ear for melody, who relies on minimal electronic backing. ‘Lifenotes’ may not flow as easily as the best instrumental records but its highlights are numerous. Last year, Heligoland released ‘All Your Ships Are White’, an album which attracted inevitable comparisons with the Cocteau Twins (partially helped by Robin Guthrie lending his production skills). Yet this was a record which relied less on euphoria and more an atmosphere of quiet despair. Released on the same label as Heligoland, Sealight is a new project featuring Dave Olliffee on synths and guitars again. Furthermore, Guthrie produces too so those who are acquainted with Heligoland or, indeed, the Cocteau Twins mid-1980’s work will be on familiar territory here then. ‘Dead Letters’ is a subdued beginning with Sandra Rossini’s wounded bird of a voice combining with languid, glistening guitars. ‘When The Rain Starts’ is a quiet murmur of a song in keeping with the suggestion of its title. Perhaps a little too quiet. However, ‘The Moon’ is beautiful with Rossini controlling the melody as she promises to “mend my broken heart” but the doomed elegance of the song suggests she may not achieve this. 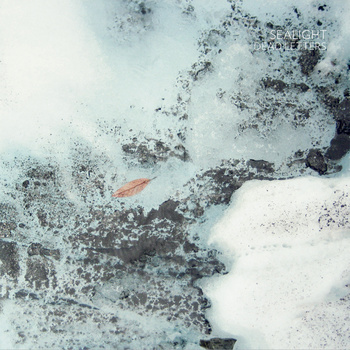 The EP ends with ‘La Nieve’, which says farewell with some mournful trumpet. If you like your music sad, graceful and understated then ‘Dead Letters’ serves its purpose. Its outlook may be bleak but the beautiful way it is presented makes this is an experience worth revisiting and if you can overlook Sealight’s music being very similar to Heligoland’s material then there’s nothing to worry about. 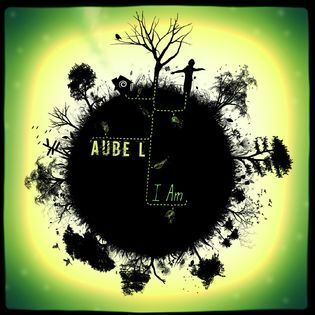 It was barely six months ago when I wrote a review of Aube Lalvée’s last album, the stirring, melodramatic ‘Souls To The Wind’. The record had some excellent moments even though Lalvée’s vocal histrionics needed reining in on occasions. Certainly, ‘I Am’ is a noticeably more subdued experience. ‘Something Simple’ is one of the louder tracks on the record. It features a threatening rumble at its core which is reminiscent of early gothic acts on the 4AD label (particularly The Wolfgang Press) but Lalvée herself is content to be brooding here. For ‘Love’ we hear her wounded cries, ‘Kiss Me’ is weighed down with self doubt but the effect is leavened by one of the album’s strongest melodies. Subversive talent that she is though, there are songs here which have an improvised feel as the flow and the structure of the track meanders in to something completely different; the quasi-classical title track being a case in point. Yet it’s perhaps telling that ‘We Never Walk Alone’ and ‘Let Me Go’ are built around stabbing keyboard riffs and their simplistic approach yields more satisfying moments. Lalvée has certainly toned down the theatrics but this is still a very emotional record. Whereas ‘Souls To The Wind’ was partally defined by angry arrangements, here the sense of vulnerability is far more apparent. The average listener’s attention may waver from time to time but this is undoubtedly a progression. Nowadays sampling seems to have been used in practically every UK chart hit we hear today. It can be inspired but often it just seems a lazy way of gaining success. One of the real plus points of sampling was in hearing forgotten tracks in the most incongruous of settings. 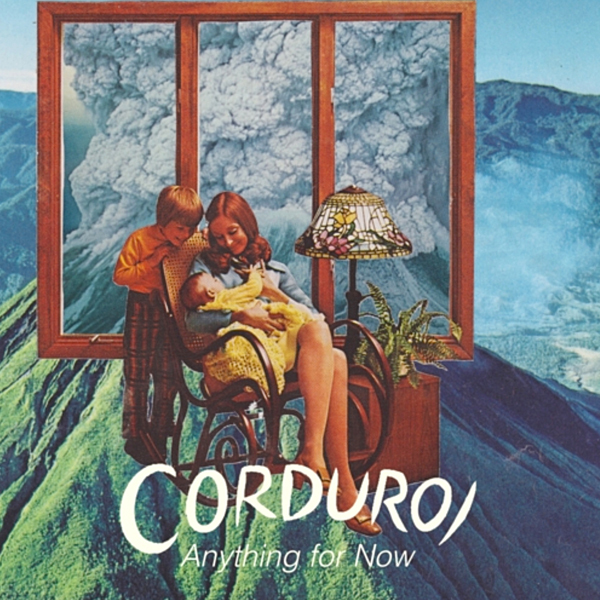 Corduroi – otherwise known as Cody Wilson – is neither a great visionary nor an imitator but he does know how to constuct electro-soul tracks, as ‘Anything For Now’ testifies. ‘Crustacean’ merges big beats with soundtrack-worthy easy listening melody and ‘Gentle Giants’ is similarly sumptuous, moving from languid guitars to the warmest of keyboards and adding mysterious vocal samples to create something totally dreamy. ‘Monk’s Muse’ takes a more awkward, tricksier approach but ‘All Ways’ cleverly distorts a female soul sample and turns it into a nocturnal delight. It’s just a shame that the last two tracks resemble slightly generic examples of the techno/soul hybrid. Credit to Wilson though, he’s unearthed some unknown but inspired recordings and works them well in to his tuneful repertoire. It would be interesting to know if he can pass the test over the course of a full album. 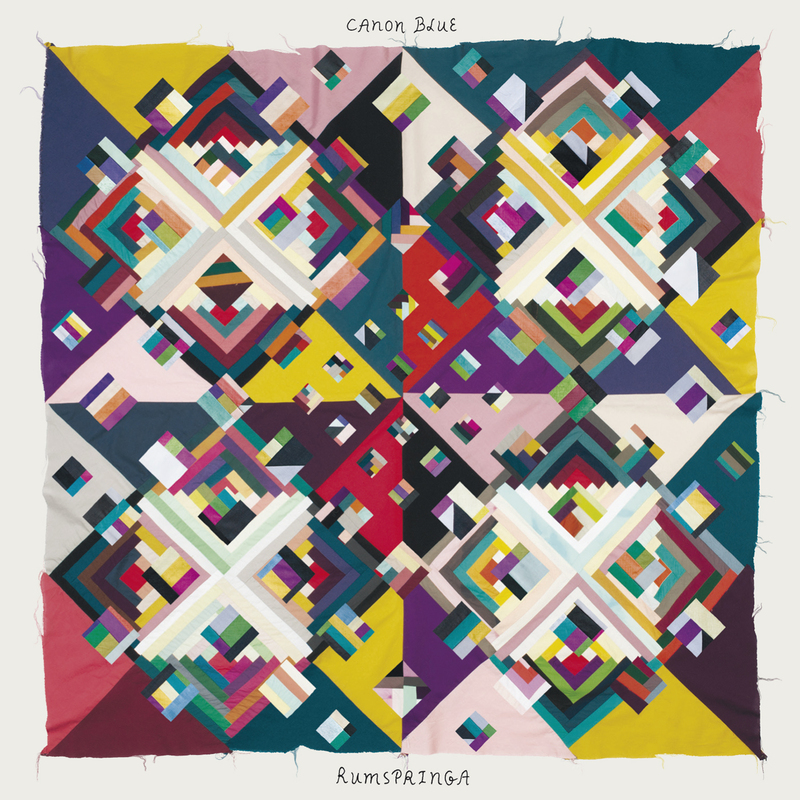 Championed by Danish post-rockers Efterklang, Canon Blue (AKA Nashville’s Daniel James) has impressed in the past with songs that are not afraid to mix beats with folk music. ‘Rumpspringa’ continues that methodology and has the distinction of being the last ever non-Efterklang release on the Rumraket label. To pick highlights on this excellent record is not an easy task. ‘Chicago’ is folk music but with a colourful, ambitious arrangement that is reminiscent of the very early years of Badly Drawn Boy’s career. ‘Indian Summer’ plucks at the heartstrings with strings and glorious boy/girl hamronies for the chorus. ‘Velveteenager’ hammers home the beats but its message of romantic yearning is undiminished whereas ‘Fading Colours’ even finds time for some drum and brass. Not everything sticks and occasionally the idea that folk and electronica should not go together holds true but it’s hard not to be persuaded by the charm and warmth of James’s music and appealing voice. In fact, ‘Rumpsringa’ is one of those independent releases where one wonders why the artist isn’t better known. The production and songs are rich in detail and easily marketable to the indie-folk fans. No matter, James will remain our closely-guarded secret treasure until the masses can appreciate him. 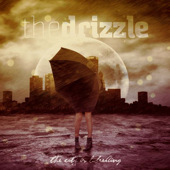 The Drizzle serve up a dish of angsty indie rock from Greece. Yet whilst the hallmarks of their repertoire has a distinctly British flavour, there’s plenty of hints of Greek passions too. ‘Cold’ is a fine way to start. After an impressive sequence of dazzling guitar and keyboard riffage, in come the melodramatic vocals of the singer. Standing alone, they sound rather fragile but when they are joined by the riffs again, The Drizzle’s anthemic rock begins to take shape. For ‘Fake Love’ and ‘Years Of Falling’ though, there’s a bit too much wallowing and metal influences on show. At least by the time of final track ‘Breathe’, they recover form as – for once – their emotions are balanced and complimented by a genuinely affecting tune. One could argue that, like their name, The Drizzle are a watered down proposition but consider Oldham’s Puressence, who have gathered a huge following in Greece and there’s evidence that their earnest, epic rock has fed in to the work of this band too. Certainly, there’s enough promise here to suggest a decent future for the band.